When last heard from, I was moaning and complaining about my inability to focus in on the important things, in particular, my mystery novel’s plot problems. Since then, I have followed my own advice: “Apply rear end to chair. Write.” Danged if it isn’t working. 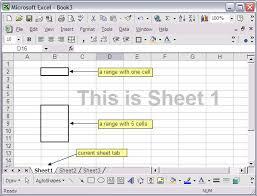 What is going down on paper – into electrons, I should say – is not fluent prose but brief sentences in an Excel worksheet. It’s my fourth attempt to organize this monster in Excel. Fourth time’s the charm. My earlier worksheets were chimaeras. Along the horizontal axis were the four murders I had concocted. Each column was meant to state, in chronological order, “what happened.” The difficulty was that everybody’s “what happened” was different from everybody else’s. I don’t mean just the characters, though each of them had his or her own body of knowledge about who was where, when and why, and above all, who hated whom. I also had to keep track of what happened as far as the reader knew. And of things that had happened all right, but that were supposed to make no sense until the big reveal at the end. And of the little event-clouds that shroud those baffling happenings in ordinariness for the time being. Since my mystery is a cozy, my detective is an amateur. Her personal life impinges deeply on her need to solve the mystery. Her biggest personal problem (illness) needs to be consistent with the action. Even more, it needs to cast light on her actions, and outside events have to feed back into her situation. I added another column. Her biggest challenge in outward life (a lawsuit) demanded a similar treatment. Add another column. Then there were the police. They had to be hunting in all the wrong places. Their errors needed to ratchet up the dangers for the detective. Another column. On top of that, mere order of events wasn’t enough. I needed specific dates for every event. Can’t have people building snowmen in May (actually, you can do that sometimes here in New Hampshire) or going on a shopping binge on Christmas Day. You can imagine what a ragbag my worksheet became. Columns could be plot threads, themes, or characters. I found myself copying and pasting the contents of one box into three more, where they were just as relevant. Excel can be an excellent disordering technique. Now I think I’ve got it. In the new worksheet, each column represents a single character and its contents are single-minded: what does this person want right now, and how does s/he go about getting it? No date column yet, but I think I’ll be able to stagger each character’s moves with the others – and possibly get them into a tighter, tenser order. That’s to say nothing of the way the author’s errors light up. I wasn’t half-way through entering my data before I found the murderer acting directly against his own interests. Duh. Our assignment is not to write the story, but to come up with the outline of a coherent plot using these elements. I hope to make this a dry run in miniature of my big Excel project. So what about it, campers? How do you keep your plot threads untangled? All tips welcome. Or try your hand at the exercise, and let us know how you did. Posted on April 30, 2016, in Heidi Wilson, Plots, writing, Writing Group and tagged Pantser, plot, Plotter, writing, writing group. Bookmark the permalink. 1 Comment. And all this time I thought the exercise was directed at my inability to see a plot through to completion. I guess it’s not all about me after all!